Perhaps more accurately describe as Flow Matching when we put together a set of fuel injectors they are the most closely matched in terms of tolerances, flow and performance. Rigorously tested against one another a much larger set of injectors whittled down until the final group is arrived at. 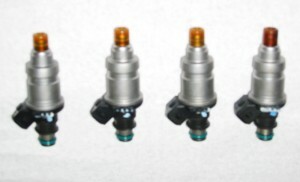 We have experience with flow matched fuel injectors. Feel free to use our handy order form to send us your fuel injectors for cleaning.